Day 2: Topkapi Palace, Hagia Sophia, Hagia Irene, and the evening Bosphorus cruise. Actually, the first thing we decided to do in the morning is go to Blue Mosque again hoping there won’t be as many people this time. It turned out we were wrong, and at 10AM they were just as many as the previous day. Waiting time was roughly 20 minutes, so it wasn’t that bad. Conclusion was, that no matter when you decide to go, it will always involve some waiting time. After that we went to Topkapi Palace. Like I said previously, having a museum pass is certainly beneficial. There were quite a lot of people in line waiting to buy tickets, but we went in without worrying about that. While the palace is open until 7pm, the harem closes earlier, so keep that in mind. The entry to there is another 15 lira, but entry is included with the museum pass. There are plenty of things to see, and unfortunately they don’t provide a map of the palace unless you rent an audio guide. Turkey is also the first country in my experience where I go to a museum, and couldn’t find any information about the place unless I pay extra for it. That would be understandable if they didn’t already charge as much for the entry. I doubt paper is such a rare commodity in there, but unless you’re really in a hurry, you should be able to see everything anyway if you search around. Don’t skip on exhibits, because they’re all worth it. Nothing inside the palace falls in the “boring” category. This was the second biggest attraction for day 2. It’s not as time consuming as Topkapi Palace, but there’s plenty to see inside, and doesn’t involve as much walking. I can’t describe much here, but I can say that the size of this monument really struck me. Unfortunately, as usual there’s absolutely no information available freely around. If you like Islamic calligraphy(not sure if I’m calling it the right name), you might spend even longer exploring inside. There was a nice exhibit on the ground level. You can also climb on the second level and see the restorations of the original Christian wall paintings from up close. I almost forgot to mention this one. Compared to everything else, this is probably the least exciting place to visit. The church had no drawings inside(they might be restoring them, but at the moment of our visit there was only a giant cross), and no information whatsoever on the history and its significance. It costs 15 Lira if you buy tickets, so my suggestions is, if you don’t have a pass don’t bother going there. Alternatively you can hide inside from the heat outside and relax for a bit. There’s hardly anyone inside. Now this one is a bit tricky. You can’t buy tickets online, so you have to go on the spot and buy them. It’s not as busy as I thought so going at least 15 minutes prior to boarding will guarantee you a good seat on the boat. Make sure you buy tickets in advance, otherwise the counter might be closed. http://www.sehirhatlari.com.tr/en/ – that’s their website for more info. *There are many people who stay around the city and try to sell you a tour of the bosphorus. I can’t comment on their quality, but you’ll definitely pay more. The one I got is like the regular ferry and for 20 lira both ways per person you couldn’t possibly go wrong. The boat itself stops at different parts of the city and goes to A. Kavagi as a final stop. You can get off at any place. During daytime you could probably take the bus back or wait for the same ferry to come back. I’m not sure how that would work out during the evening cruise. We got off at the last stop and got back on at the same spot. The boat arrives at around 8:30PM and you have around an hour and a half to grab dinner somewhere. There are plenty of restaurants along the coast. The more scenic ones are more expensive. There will also be plenty of people trying to grab your attention so you buy something from them. Just ignore them if you want and pick the place you like the most. All restaurants serve fish, so if you don’t feel like spending much you should go for the restaurants in the back which are probably twice as cheap. Just a suggestion, if the restaurant is too busy with locals, it probably means the food is good, but it also means you’ll wait very long time to get anything. That’s what happened to us at least. Other than food there’s not much to see in the village. It’s small, and once it gets dark you don’t have much choice other than to go back on board. Make sure you get that last ferry, otherwise you’d be stuck in there for the night. We arrived back around 11:50 pm, and the trams were still running, but if you live farther you might want to check just in case, because I think public transport runs until around midnight in Istanbul. Eventually you can grab a taxi if there’s nothing else. That concluded day 2 for us. My stay in Istanbul lasted exactly 3 days, so I’ll try to outline what’s worth seeing, and how long does it take on average to see every attraction. You can tailor your own trip that way. I’ll start with the ones that took me the longest, going to the shortest. Keep in mind that your time spent on exploring might vary depending on your personal interests. *At the time I was there some of the museums were being renovated, and time might vary in the future! 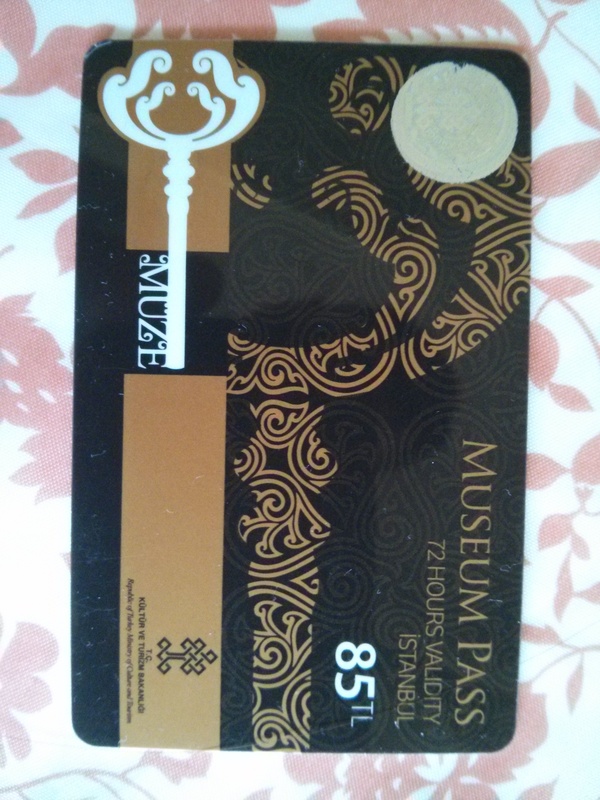 It cost 85 lira, but grands access to every single museum on my list(Kariye Museum isn’t mentioned but it grants access just as well). That way you avoid the lineups, and save a bit in the end. If you don’t plan on visiting more than 2, it might be better just to buy tickets, but like I said, that way you save some time to see other things. 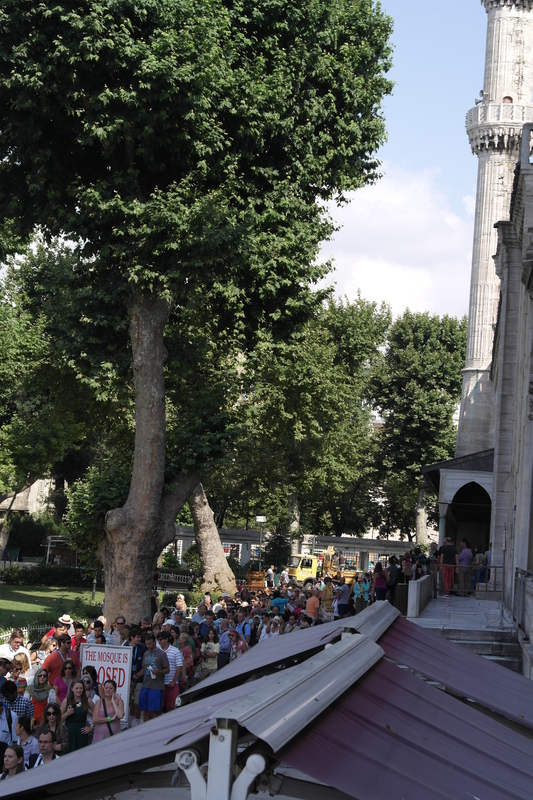 Oh, and with a pass you can visit the Harem in Topkapi palace, and that alone is worth a lot(more on that later)! Our arrival time in Istanbul was somewhere around 9AM, and it took us roughly an hour(plus breakfast) to get to the hotel. Check in time was at noon, so we had to find something to do before we could go back to the hotel. Fortunately, our hotel was right in the heart of the historical part of the city, Gulhane station on T1, to be price, so we didn’t have to go too far or waste time in order to start our tour. I thought we might go to Topkapi Palace first, but we passed by the Archaeology Museum on the way, and spend roughly 2 hours in there. That’s also where we got our museum passes. It was relatively early on Friday, so people weren’t rushing to go in. Glad we did that first, instead of Topkapi palace. The archaeology museum is pretty big and if you’re into it you might spend a lot longer to see everything. Two hours should be considered the minimum. At around 12:30 we went back to the hotel, left the luggage in the room, and decided to go to Blue Mosque or Hagia Sophia. Everything in the area is walking distance away so no need to hop on the tram for this. Weather was rainy, and still there were plenty of people lining up to go inside the mosque. We decided to go back again the following morning hoping there would be less people in line. Lineups go fast enough so if you could spare 15 minutes you’ll go in. There are guides waiting outside that offer you instant entry(for the appropriate price of course). After that we went north again, and surprisingly ended up at the Grand Bazaar. The place is huge, full of store that sell mostly jewellery, clothes, and occasionally some Turkish delights. What grabbed me though, was the sights above those stores. If you look up when walking you could see all the history and architecture of the bazaar. It wasn’t our shopping day so we just passed by on our way to Suleymaniye Mosque and exchanged some cash. That mosque is located at a very good spot. It’s almost as good, if not better than Blue mosque, and doesn’t have as many visitors. Unfortunately, there are many beggars in the area. Actually Istanbul is one of those city with too many beggars on the streets. I haven’t been to many touristy destinations like this one, but I thought developed(cause I conside Turkey to be one of them) countries should have better social policies regarding the poor. We took a few shots in there and continued our walk. (once again, we had no agenda, or clear idea where exactly we might end up). neighborhood we found ourselves at the Golden Horn with a great view of the other side of the city. From there you get access to the ferries across the bosphorus, and of course the spice bazaar. You can pay for ferries with the same Istanbul pass you’d use on the subway, and trams. New Mosque is also located in there, but we didn’t visit it. Maybe we had a bit too much for 1 day and it was close to 8PM already. Those were a lot of places to visit in one day, and I recommend you take it slower. No point in rushing things. After everything we decided that Topkapi and Hagia Sophia should be the first places to go on Saturday. *forgive my writing. I might have spelling mistakes, especially on the names of places in Istanbul.